Pkg “E” 3 Hrs. 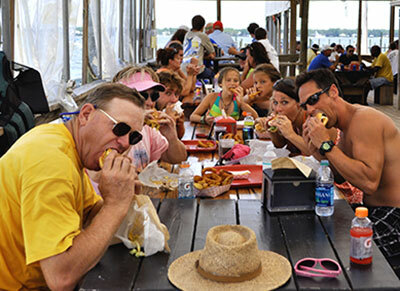 OUR Famous Pirate’s Cove Cheeseburgers and Dolphin Adventure 4 Activities for all to play ! Bundle priced for up to 4-5-6-7 or 8 guests –(8 quests max) Additional guests additional costs. For larger groups consider additional equipment or 2 Pkgs for groups of 9 or more ! We all go swimming in a shallow,calm, quiet water cove ! We head for Cheeseburgers !